When I was a teenager, I was told of a local legend about European colonists who made it to the region surrounding my home town, Elora Ontario, centuries before John Cabot, Samuel de Champlain, or any other documented European explorer. The legend held that British Celts fleeing the Roman occupation, or Irish Celts who wished to avoid Christian missionaries, got into their ships and sailed west, hoping to find Tir na nOg, the mythical land of the gods. Instead they landed somewhere in what is now Nova Scotia. Then they followed the St. Lawrence river into the continent, until they found a suitable place to establish a colony and preserve their way of life. But eventually they assimilated into the local Aboriginal culture. It is easy enough to doubt this story. For one thing, if such a colony actually existed in southern Ontario, there is no physical trace of it now. Moreover, the first person to tell me this legend was something of a confidence trickster, and probably an unreliable source of information about such things. But there are anecdotal reports of Irish fisherman using the Grand Banks of Newfoundland in the centuries before Columbus’ voyage; and of course the Viking settlement at L’Anse Aux Meadows, Newfoundland, is now well known. So the idea of a colony of ancient Celts living in a conservation park right next to my hometown seemed to me plausible enough for the purpose of fantasy storytelling. 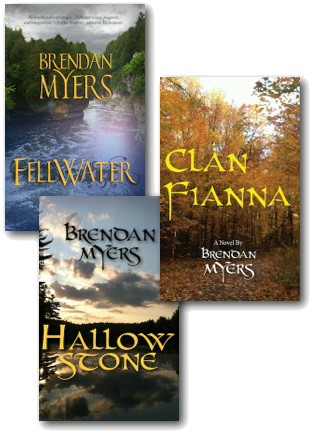 I first started writing Fellwater in 2006, just after I returned to Elora after living in Europe for about five years. I was unemployed at the time, and like a lot of people in the so-called "boomerang generation", I had moved back in with my parents at the age of 32. I worked on the first novel in the series as a way to keep my mind creative and active while I was looking for a job -- also, I wrote it as a way of holding back the hopelessness and frustration that unemployment can cause. Thus many of the landscapes and even some of the buildings featured in the novels are based on the real-world places of my home town. The village of Fellwater is based on my home town, to which I had just returned. The neighbouring town of Fergus, where I went to high school, became "Thistletown", and the city of Guelph, where I was born and where I attended university for my BA and MA degrees, became "Royal Wyndham". Another part of the background of the story is the notion, apparently widespread in the ancient world (although perhaps mainly as a form of political propaganda), that certain noble families and royal houses were descended from the gods of mythology. Julius Caesar, for instance, claimed descent from the goddess Venus. There is also emerging evidence that the Norse god Odin was a real man, a Germanic tribal chief, whose life story became part of the mythology of his people. The Prose Edda says as much. And this is not just an European idea: the kings of Japan, and the Aztecs, for example, also claimed to be descended from sun gods. Again, there’s probably no way to prove that the gods were once just people, or that anyone is descended from them. And some people may balk at the notion that the gods were human beings whose life stories were retold and exaggerated after their deaths until they became mythology. (“The gods are gods!” said one friend of mine.) Nonetheless, this seems to me an excellent real-world theme on which to build a work of fantasy fiction. 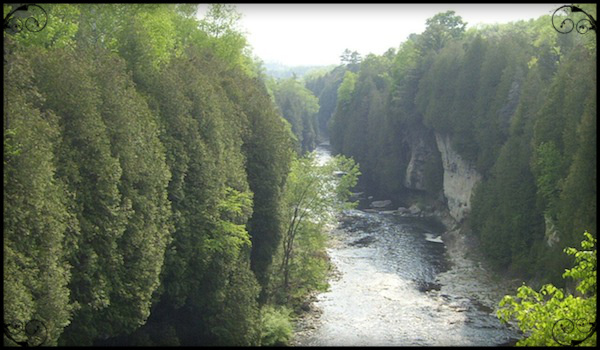 The Elora Gorge. My hometown. The covers of the first editions (unedited, and now out of print), with my own photos, and my own design on books two and three. In April and May of 2014, Fellwater was the subject of a successful fundraising campaign on Kickstarter, a popular internet-based crowd-funding platform. More than five thousand dollars was raised from 144 supporters to pay for professional editors and designers. The idea was to address the problem that many, if not most, self-published books must face: the problem of the near-total absence of any meaningful quality control in self-published books. Early readers of these books enjoyed them very much: some compared the books very favourably to the work of writers like Neil Gaiman, George RR Martin, Philip Pullman, and even J.K. Rowling. But their one consistent criticism was that the editing sucked. The success of my campaign on Kickstarter allowed me to hire professionals to do the editing work with me (note that I did not say "for" me), in such a way that I didn't shortchange them, and at the same time I didn't go bankrupt. And now I feel very confident in the "quality control" of my "product" (and sorry for using the language of market economics there). I hope that readers will enjoy, criticize, and contemplate my novels for their own merits and flaws. The initial fundraising target was $3,200, which would have been enough to pay for the editing for two of the novels in the main series, and some interior layout work. I would have paid for everything else out of pocket. But as it turned out, the project raised more than $5000. (And yes, I was thrilled!) I had enough funds to edit all five books in the series, and to hire a professional storyteller to read one of the novellas, for an audiobook. I wish to thank all of my Kickstarter project supporters for their generosity and support, not only with their money, but also with their time promoting the project. In particular, I wish to thank these outstanding benefactors and world-builders, each of whom donated $100 or more to the project: Carole Martin, Ben Rossi, David LeBer, Gary Gibson, Laurent Castellucci, David LeClerc, Ezekiel Zong-Han Azib. 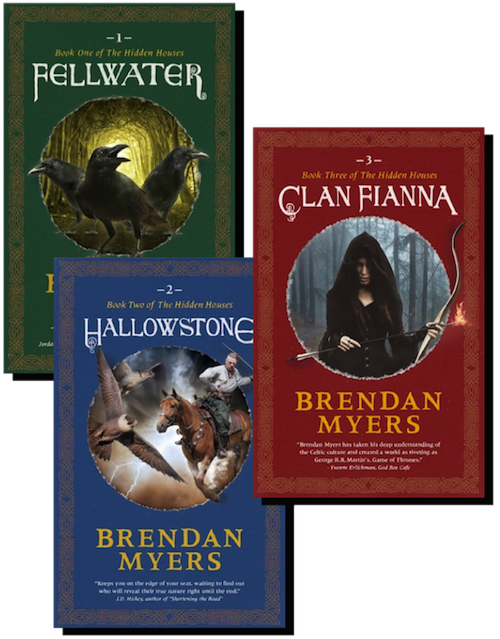 The three covers after the Kickstart campaign, and after Nathaniel Hebert, a professional graphic designer, got hold of them. When the three main books were finished, I was conscious that the story was not yet finished. Hints and little seeds that I had planeted in the first book had not yet come to fruit: for instance, the nature of the DiAngelo "New Renaissance" was not yet fully revealed. My lead heroes were also without a home (and sorry for the spoiler there). I wanted to explore the world of the Hidden Houses some more, and bring the narrative of the main series to a satisfying end. I also thought it would be a good idea to move some of the action to west Quebec, where I live now. 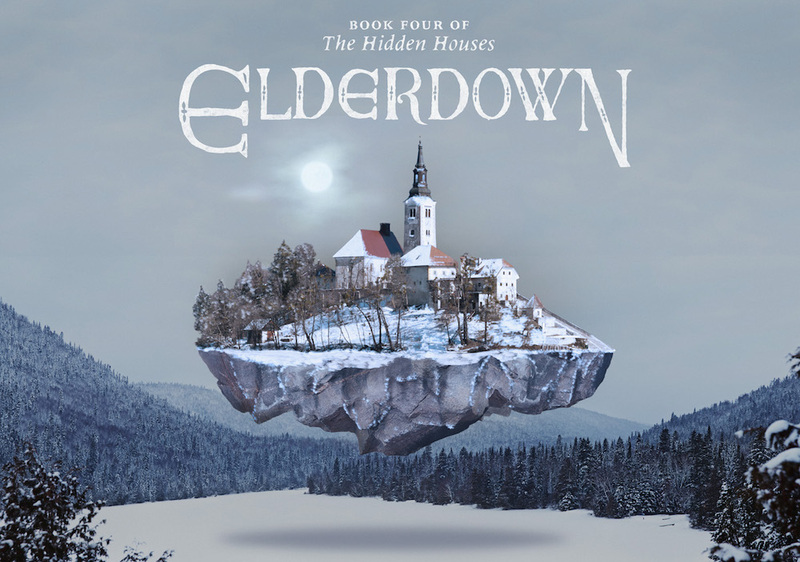 So I hired the same editing and design team that worked on the previous novels (and paid them out of my own pocket this time), and released "Elderdown" in late June of 2015. So, now the series is done. It began ten years ago, as a tribute to a dear friend, and as a means of preventing intellectual lassitude during a ten-month stretch of unemployment. It has now grown into this four-part series, with multiple spinoffs published and planned. I think it may be the most personally expressive and revealing work of art I have created so far. Every character in my books is real to me; I hear their voices and see their faces as I write them. Yet every character here is also a self-portrait. Every crisis in their lives happened to someone I care about, if not myself as well. And every moment of beauty and peace they find is something I wish for you, dear reader. Alas, the Great Work of telling their story is done. I have fulfilled most of the ambitions I once had for writing a big-canvass, philosophically-influenced, multi-volume fantasy fiction series. I may someday let someone talk me into into writing Book Five.  Indeed, in a late-night corridor of sleeplessness, I wrote a beat-sheet for it. So stay tuned to my mailing list. You never know what might happen next. What, then, is the series really about? The Hidden Houses may look like it’s about people descended from various ancient gods, who have been fighting each other for thousands of years. But it is actually about whether there’s still a place for heroes in the modern world, and whether conflicted or flawed characters can be heroes too. It’s about power relations, justice and injustice, cult recruitment, and conspiracy. It's about what it is to have a home, a history, and a purpose. It’s about making a magic wish, and the horror of it coming true. It’s also about secret castles in the north, and Irish skinboats that can fly, and giant gorillas with four arms, and people who pull swords out of thin air and start fighting with them. So, the series is rigorously intellectual, clearly. 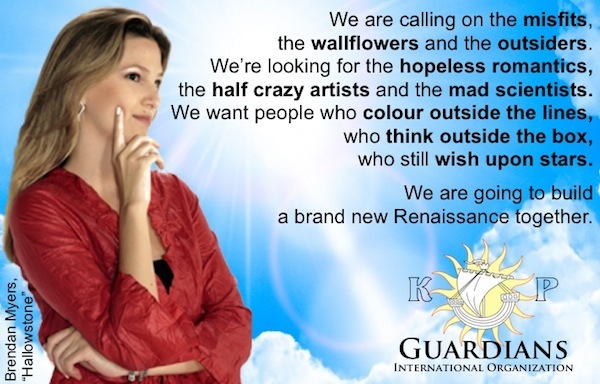 So, if you’re looking for an independently published modern fantasy series, with a fully realized world, an ensemble cast of characters, complex and subtle politics, a philosophical background, and without any vampires, prophesies, Chosen Ones, damsels in distress needing rescue, female warriors with inappropriate armour, male heroes who are hyperintelligent assholes (Dr. House? Sherlock? ), villains motivated by one-dimensional goals (the Daleks? ), heroes who win exclusively through violence, without a futuristic dystopia that mainly oppresses teenagers– you get the idea-- then here’s your books. 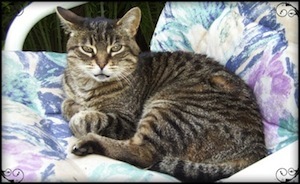 The lead male character of the series, Eric Laflamme, is named after my family's old cat. And here he is, as a venerable gentleman at twelve years old. Thank you for taking an interest in my books! If the gods put recruitment ads in magazines, this is what their ads might look like. Click here to see a larger image.